Ever wondered what Anna Friel and Beyoncé have in common when getting into shape for a major acting role? Well Girl Meets Dress has the answer for you – it’s the Lemon Detox (aka Master Cleanse)! Anna Friel followed the Lemon Detox again earlier this year when preparing for her role in The Girlfriend Experience, and Beyoncé famously lost 20 lbs in 2 weeks without stepping a foot in the gym before filming the film Dreamgirls. Now Girl Meets Dress has partnered with Lemon Detox to bring you an exclusive offer on Madal Bal Natural Tree Syrup – the essential ingredient of the Lemon Detox fasting drink – so you can look and feel fabulous on your big outing! 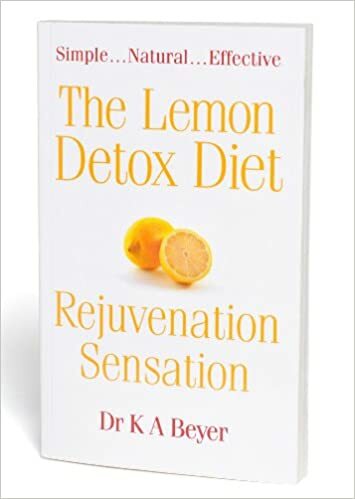 The Lemon Detox is a short fasting cleanse based on the book The Lemon Detox Diet – Rejuvenation Sensation by Dr K A Beyer. It involves fasting for 5-7 days (typically) and during that time, supporting your body with essential energy and nutrients provided by the Lemon Detox fasting drink. The drink banishes those hunger pangs and makes fasting easy! The Lemon Detox is a highly effective naturopathic detox programme that can help your body cleanse itself of toxins and lose weight. To make the drink, simply mix Madal Bal Natural Tree Syrup with fresh lemon juice, water and a pinch of cayenne pepper for a drink that will provide the body with a balance of energy and nutrients to support you while you fast. Do you want to showoff your amazing results and figure after your detox, then why not hire dresses of your dreams? Posted November 29th, 2017 in Partner Offer. Tagged: Anna Friel diet, Beyonce diet, Celebrity Dresses, Christmas detox, Cocktail dress, cocktail dresses, designer, designer dress hire, Designer dresses, Dress Hire, Girl Meets Dress, Girl Meets Dress and the Lemon Detox!, girl meets dress collaboration, Girl Meets Dress Offer, GMD, hire a dress, hire celebrity dresses, hire cocktail dresses, hire designer dresses, Hire dresses, how did Beyonce loose 20lbs in 2 weeks?, lemon detox, long dresses, maple syrup detox, Master cleanse, party dress, party dresses, party dresses uk, rent a dress, rent celebrity dresses, Rent designer dresses, rent dresses, short dresses, The lemon detox, The Maple syrup diet.